The results of the Nagar Parishad elections 2018 held in Jharkhand's Garhwa, Chatra, Madhupur, Godda, Sahibganj, Pakur, Dumka, Mihijam, Bishrampur on April 16 will be declared by afternoon. RANCHI: The results of the Nagar Parishad elections 2018 held in Jharkhand's Garhwa, Chatra, Madhupur, Godda, Sahibganj, Pakur, Dumka, Mihijam, Bishrampur on April 16 will be declared on April 20 (Friday). According to the State Election Commissioner, NN Pandey, the counting of votes for Garhwa, Chatra, Madhupur, Godda, Sahibganj, Pakur, Dumka, Mihijam, Bishrampur Nagar Parishad will start at 8 am and the results will be declared by afternoon. 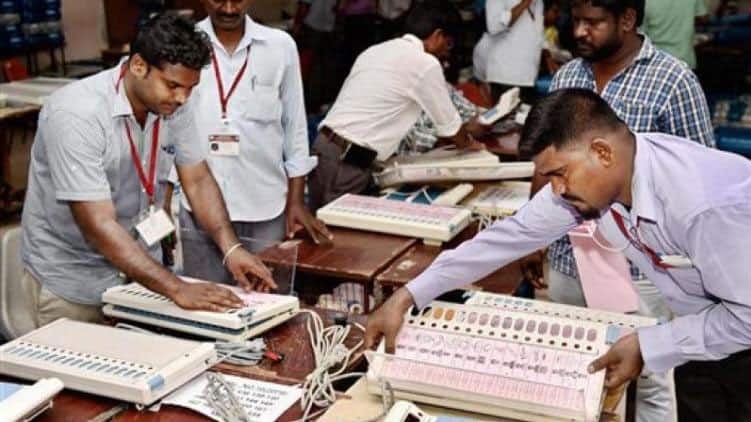 Polling for the Garhwa, Chatra, Madhupur, Godda, Sahibganj, Pakur, Dumka, Mihijam, Bishrampur Nagar Parishad was held on April 16 (Monday) amid tight security and under the watchful eyes of the State Election Commission. The entire electoral process in these areas was video-graphed as per the instructions of the SEC. The Bharatiya Janata Party (BJP), the Congress, the Jharkhand Mukti Morcha (JMM) and others have fielded candidates for the posts of Mayor and Deputy Mayor here. Ahead of the counting of votes, all the three main political parties have expressed confidence that their respective candidates will win. In Chatra, Aanadi Devi (RJD), Gunja Devi (BJP), Lalita Devi (JVM), Partima Devi (INC), Reshma Devi (AJSU), Rita Devi (JMM), Sarita Devi (BSP) are among the top contenders for the Municipal Council presidents post. Meanwhile, Mohammad Wahajul Haque, Mahommad Habib, Saryu Nishad, Khaym Kausar Ansari, Pankaj Kumar, Mohammad Nesar, Suresh Kumar, Jamuna Prasad and Dr Salim Jawed are in contention for the vice-president's post here. In Garhwa district, there are three urban local bodies - Garhwa (Municipality), Manjhiaon (Municipality) and Sinduria (Town Area). The main political contest here is between BJP, JVM, Congress, JMM and AJSU for the post of president and vice-president here. In Garwa nagar parishad, RJD is leading for chairperson and deputy chairman posts. The counting of votes begins. Results for Garhwa, Chatra, Madhupur, Godda, Sahibganj, Pakur, Dumka, Mihijam, Bishrampur Nagar Parishad expected by afternoon.